These Las Vegas Helicopter Tours usually cost $124, but you can book with prices from $89 at Vegas.com. Your visit includes transportation to and from your hotel, and you can start your visit with a champagne toast. The tours fly over the Strip and Glitter Gulch. We found the lowest prices for flights in April and May. 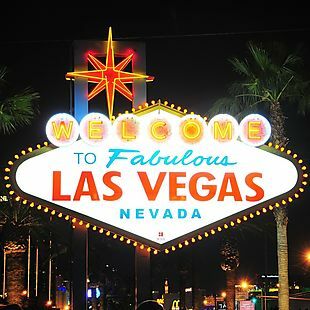 You can choose your dates and book at Vegas.com. Taxes and fees may apply. 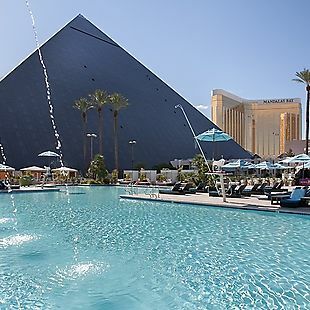 Get up to 30% off your stay at the Luxor hotel in Las Vegas when you book select dates at Vegas.com. You can see the discounted rates when you click "Rate Calendar" on the top of the booking page. We found prices from $48 per night on select dates. The Luxor is an iconic pyramid on the south side of the Las Vegas Strip. Choose your dates and book at Vegas.com. Taxes, fees, and restrictions may apply.